18 Gallon Pro-Tec Red Container. Sliding lid accommodates large sharp waste. 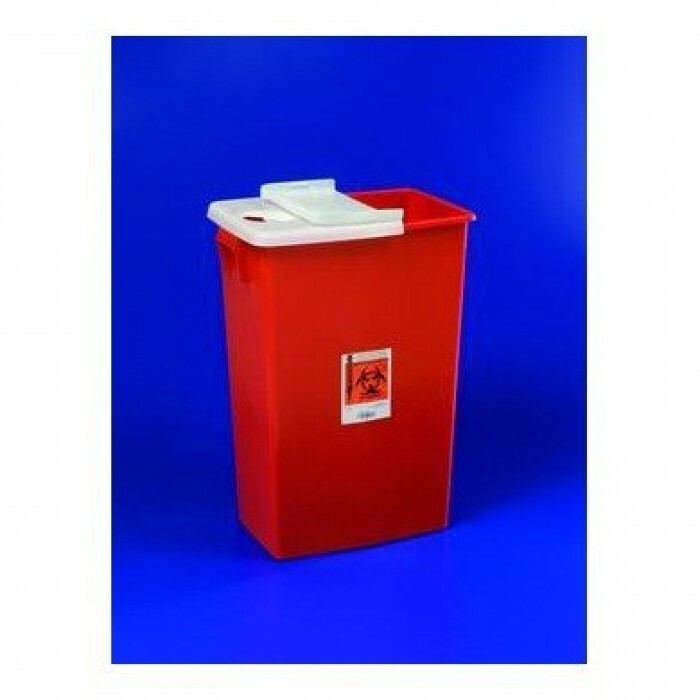 Provides temporary closure when not in use and final lock for disposal. Red non-translucent.